That’s why I think it’s great way to document what’s going on in your life–include all the lists and itineraries and agendas. 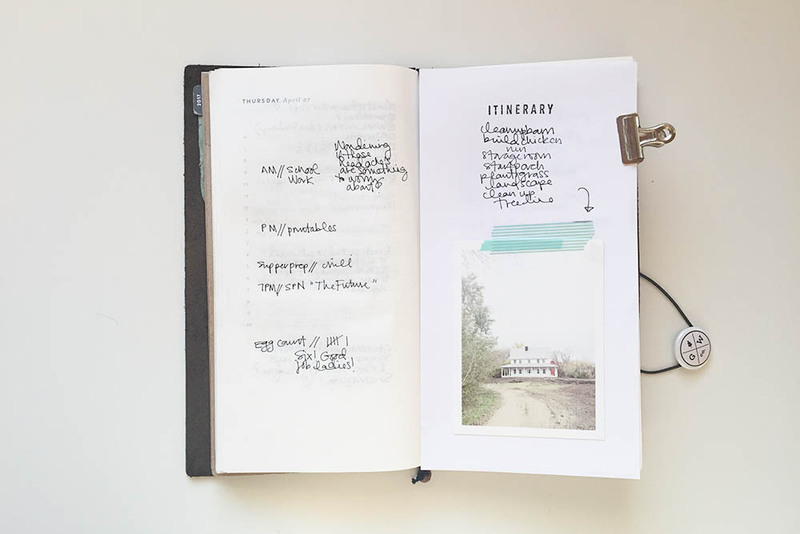 Check out what Miss Marcy did in her journal here! So, I’m not the most technically inclined stamper. I mess up more times than I can count. I typically stick to black ink. And I definitely gravitate towards the simple stamps… like prompts. Most of my crafty supplies are tucked away till I need them but I keep a few stamp sets (that I rotate out), a black ink pad and a small acrylic block at my work desk. That way when I have a second I can add some stamping to my pages without feeling that I need to allot a ton to time to being creative. I especially love using those small prompt stamps in my planner/notebook. Who says lists have to be boring? Oh my! This girl is so speakin’ my language. I’m a word stamp fan and a black (or warm grey) ink fan. I’m also not the conventional stamper. And I mess up too. That’s why I’ve been contemplating picking up one of those Misti’s that Cathy Zielske keeps talking about! I think the large one would work great for my traveler’s notebooks since I remove the staples. I’ll be able to stamp on one sheet at a time for the perfection factor. And Marcy…so digging this page! 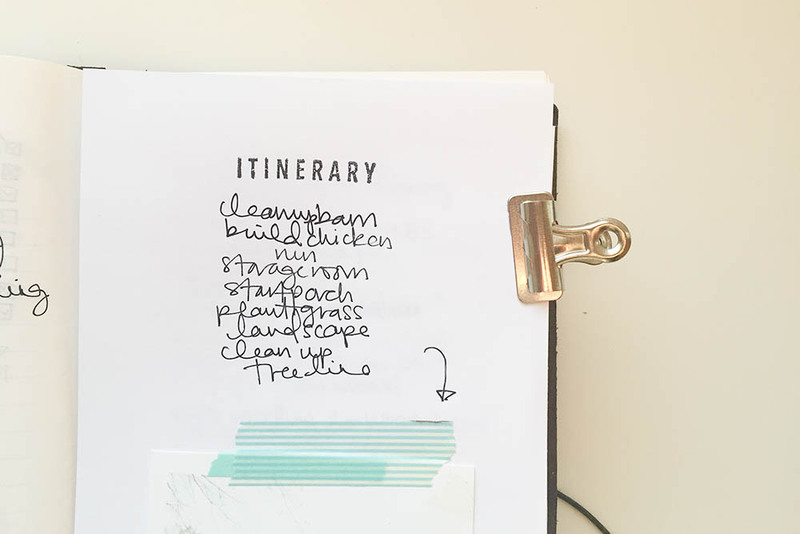 I think using the Itinerary stamp makes your list divine. Love it! And now, as part of our (inter) National Scrapbook Day week, we have a brand new kit! 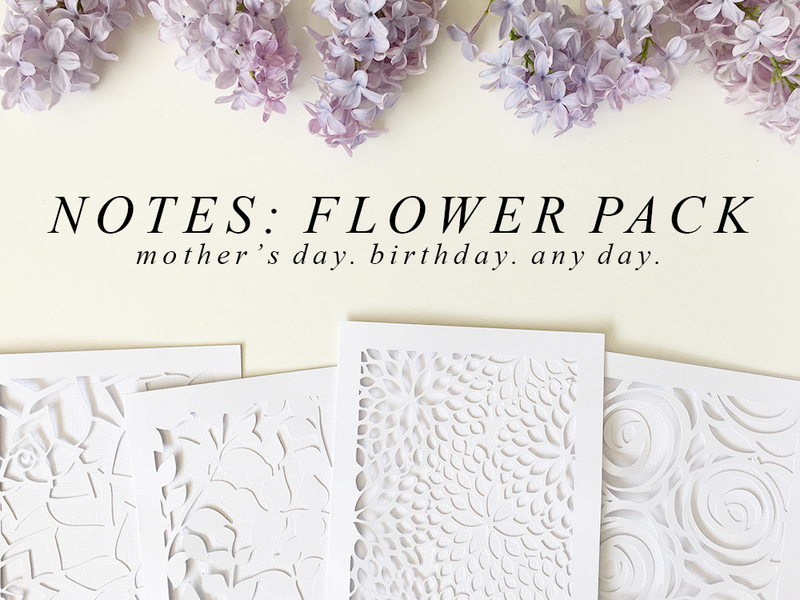 Check out a new card series here at KBS called Notes, with the first set being Flower Pack. Four lovely A2 nature cards that are prefect for many occasions, including the upcoming Mother’s Day, a birthday or just any day. I’m really excited for this new series of card selections! And last, but not least….don’t forget this is going on all week until (inter) National Scrapbook Day!